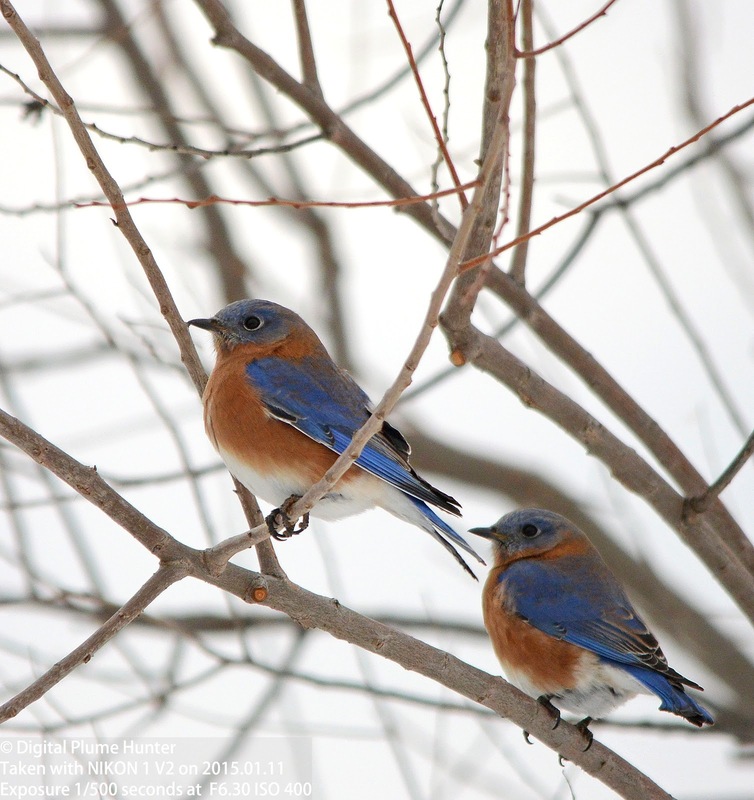 Most of our songbirds prefer to nest in the Spring and Summer, Owls, however, start much earlier -- typically beginning their nesting in winter. 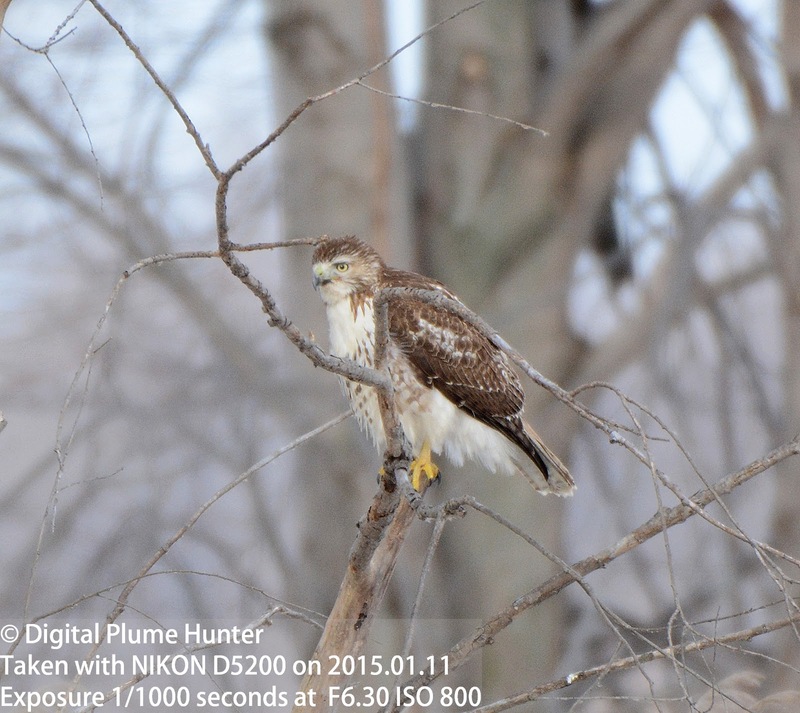 Presumably, this is because their prey items (rodents, birds, etc.) 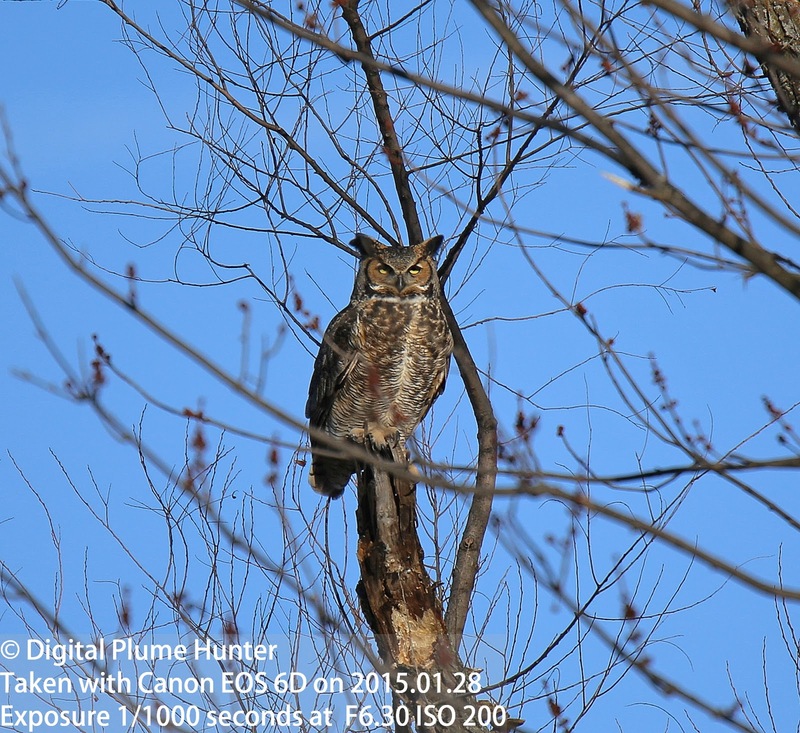 will be more abundant by the time their owlets fledge. 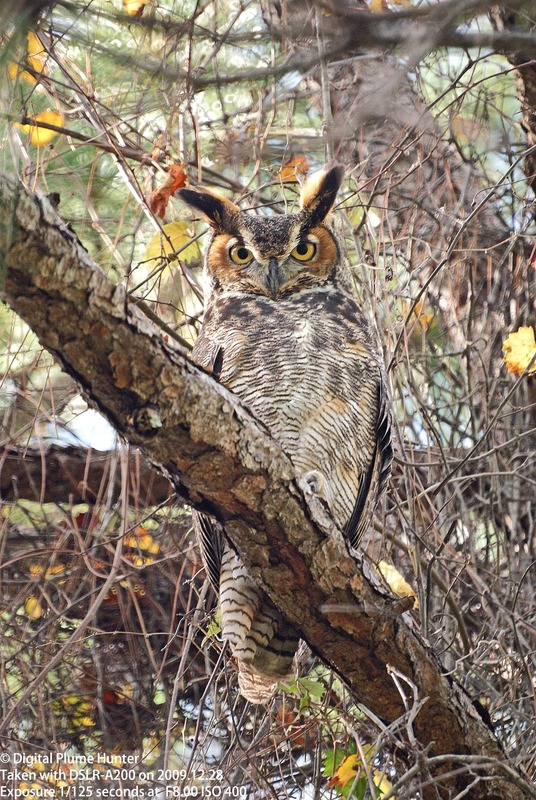 Lake St. Clair Metropark hosts a devoted pair of these owls and every year visitors delight in watching these owls nest, feed and fledge their young. 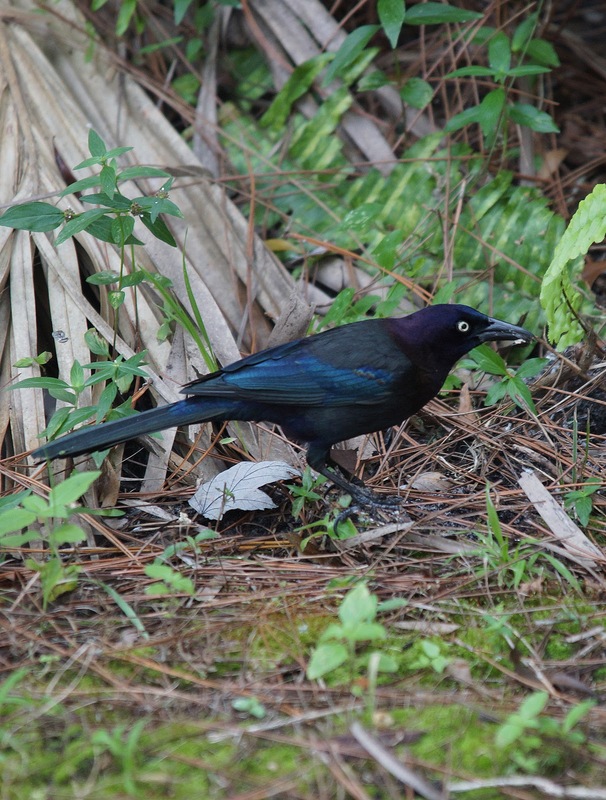 However, a more considered examination will reveal, to the discerning observer, a couple of key differences: the thicker bill on the Grackle and the distinctive rusty markings on the Blackbird. 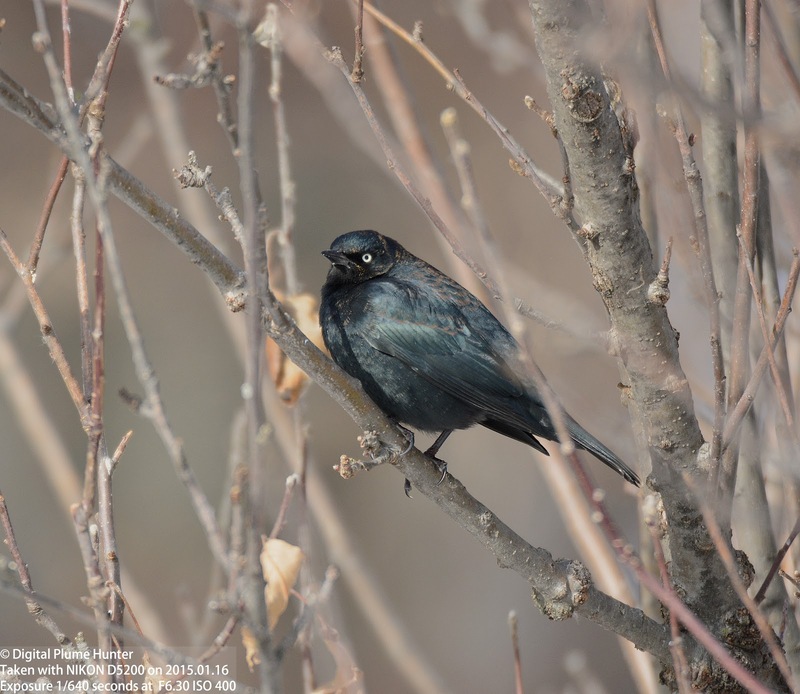 Classified as "Vulnerable", this population of this charming blackbird is in free fall -- with an 85% decline over the last few decades. 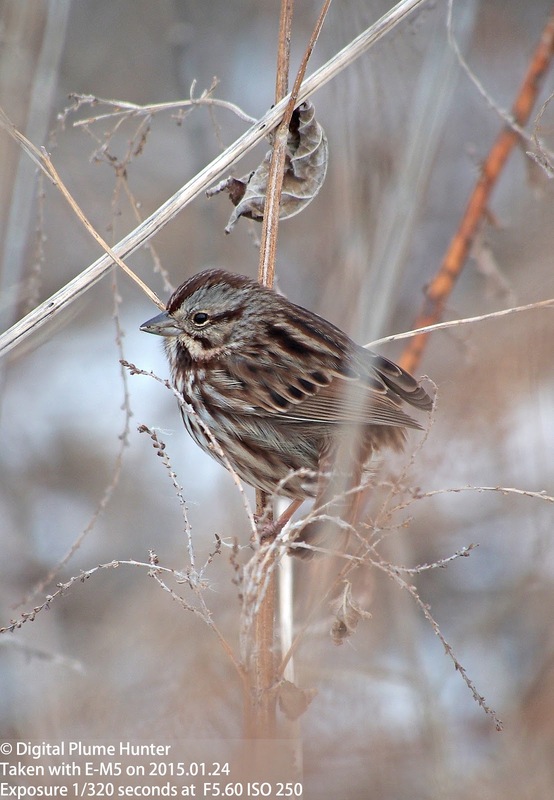 This species is observed well at Magee Marsh in early Spring. 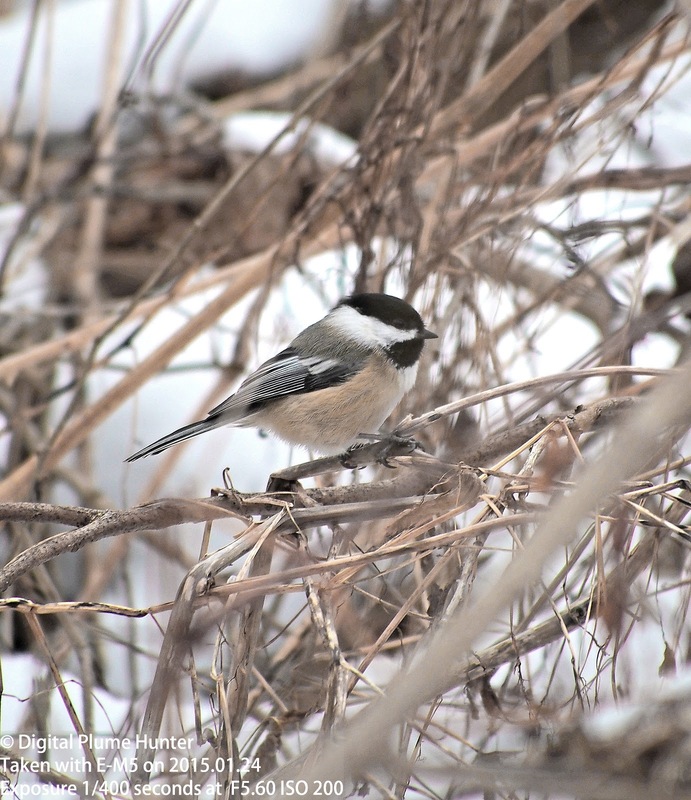 This is a year-round resident at the park but generally manages to evade attempts at photography. 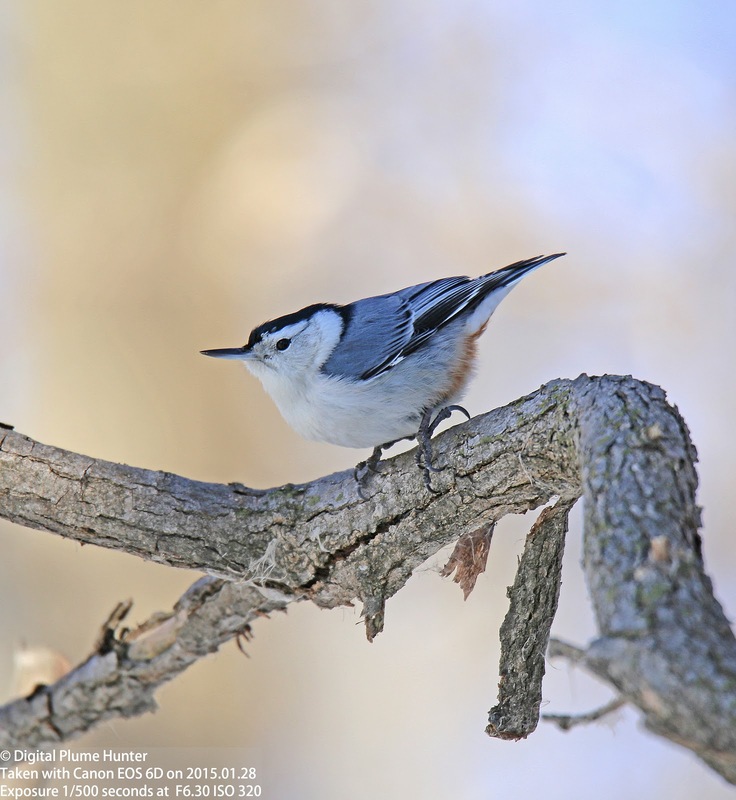 With the advent of February, the renewed activity of birds -- starting with the nesting of raptors -- betray the first stirrings of Spring; that, within a couple of months, will be fully underway. 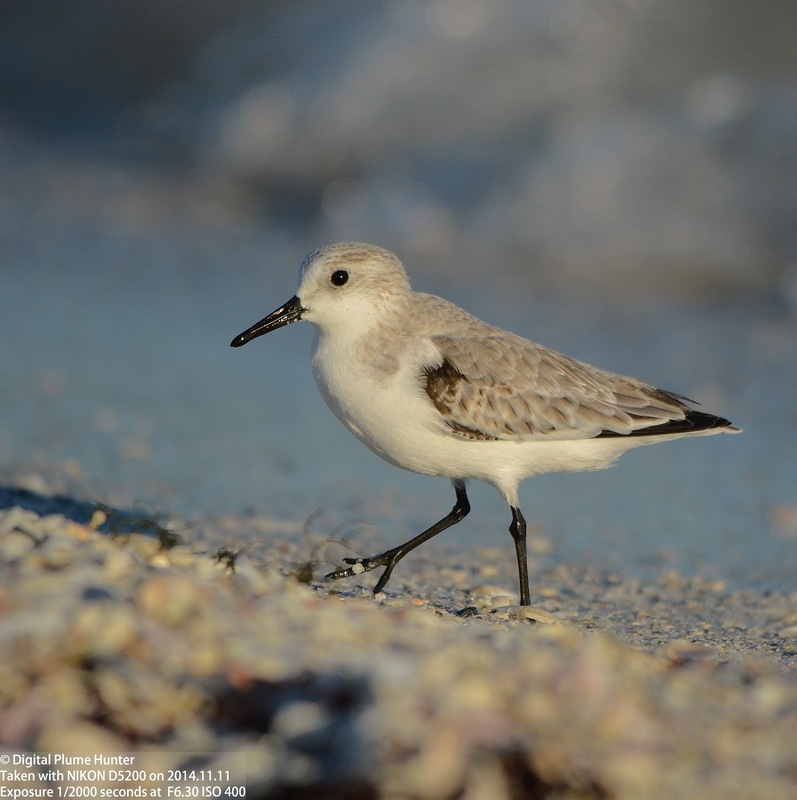 66 species of plovers exist on this planet; of these 8 are regularly found in the US and a further 6 can be located in SW Florida in the winter. 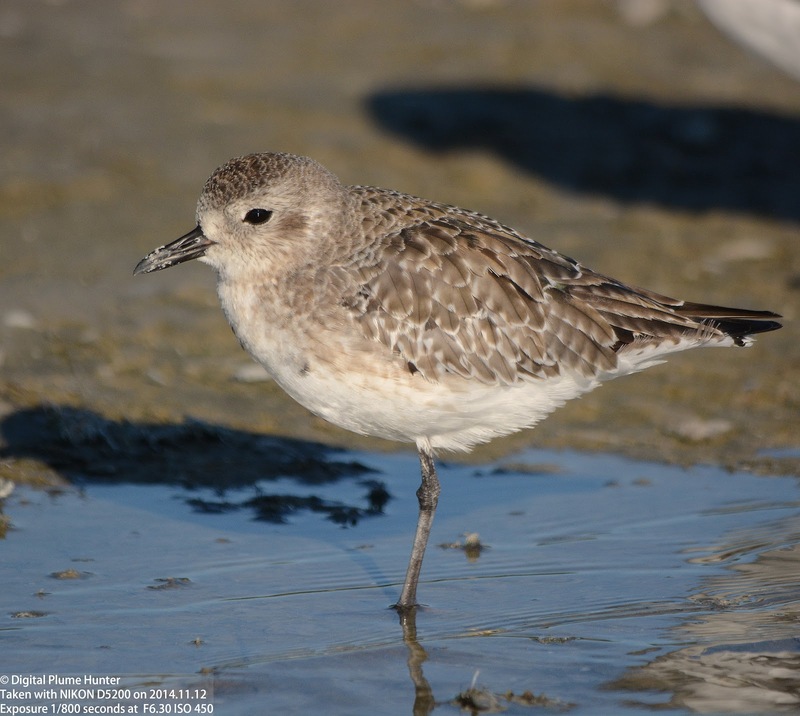 This subfamily of Plovers consists of small to mid-sized shorebirds with short bills that feed by sight as opposed to probing. 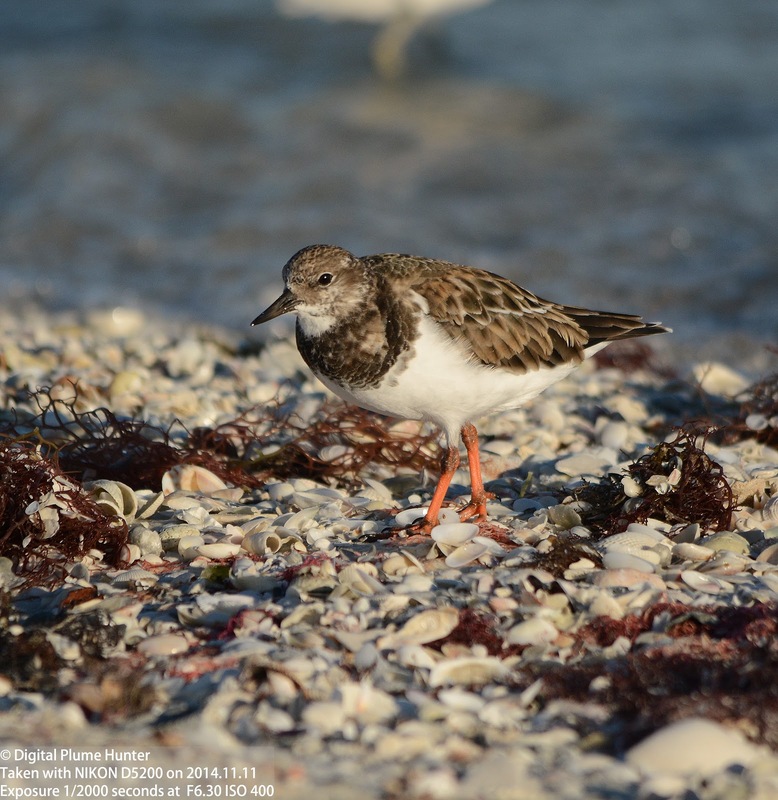 Generally known by their common names as "Plovers" and "Dotterels" these delicate and distinctive shorebirds are found on every continent except Antarctica. 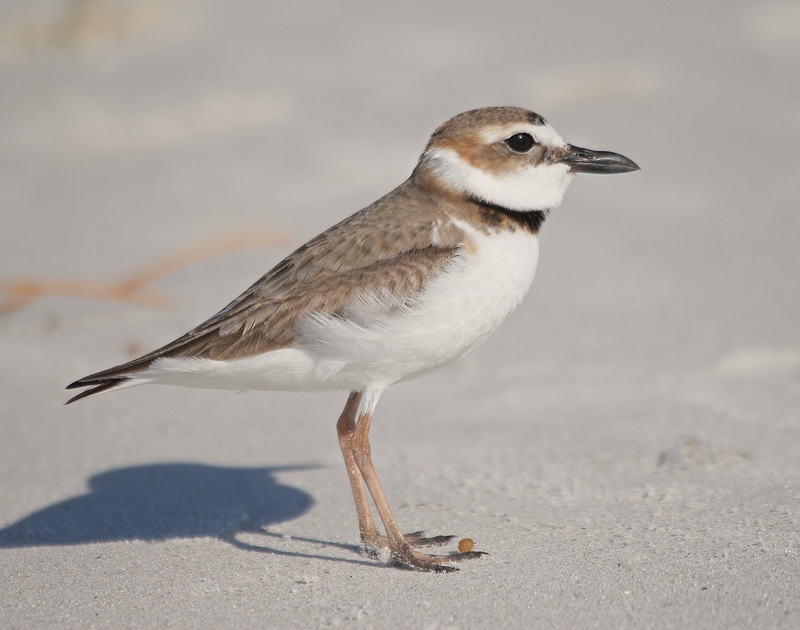 Unfortunately, despite their wide distribution, many of these plover species face grave ecological threats; even the prospect of extinction -- consider for example the St. Helena Plover -- found nowhere else other than St. Helena (an island in the Southern Atlantic midway between Brazil and Angola), this remarkable plover is Critically Endangered and close to extinction. 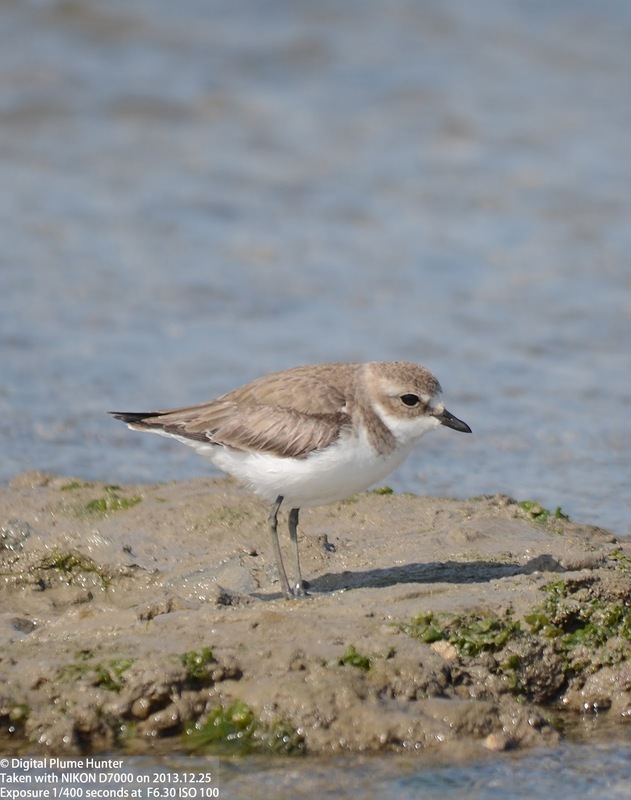 A predicament that could very well be in the sinister future of other threatened plover species. 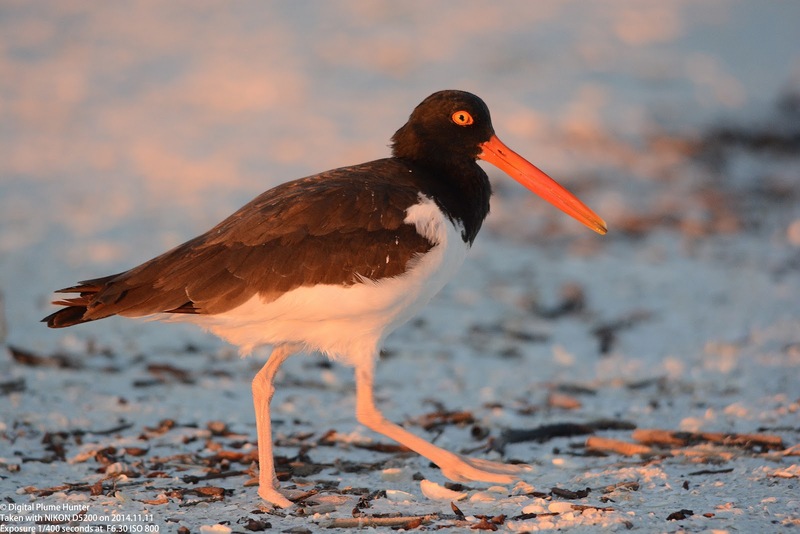 In this post, we will review some plover species found in coastal SW Florida and their kin around the world plus some common shorebirds of the area. 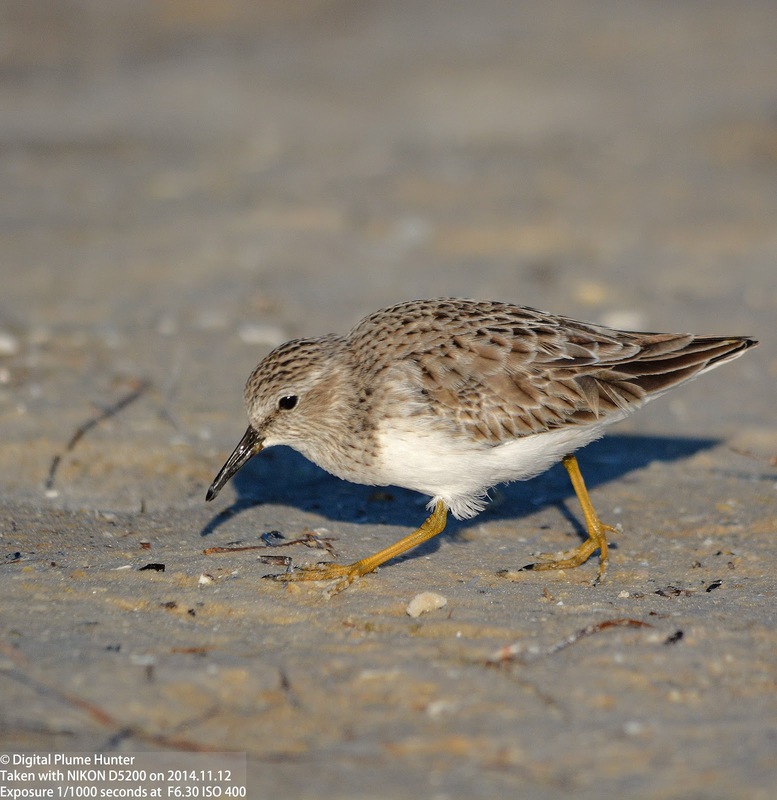 Both Piping Plover and Hooded Plover (or Dotterel) are small orange-legged coastal shorebirds. 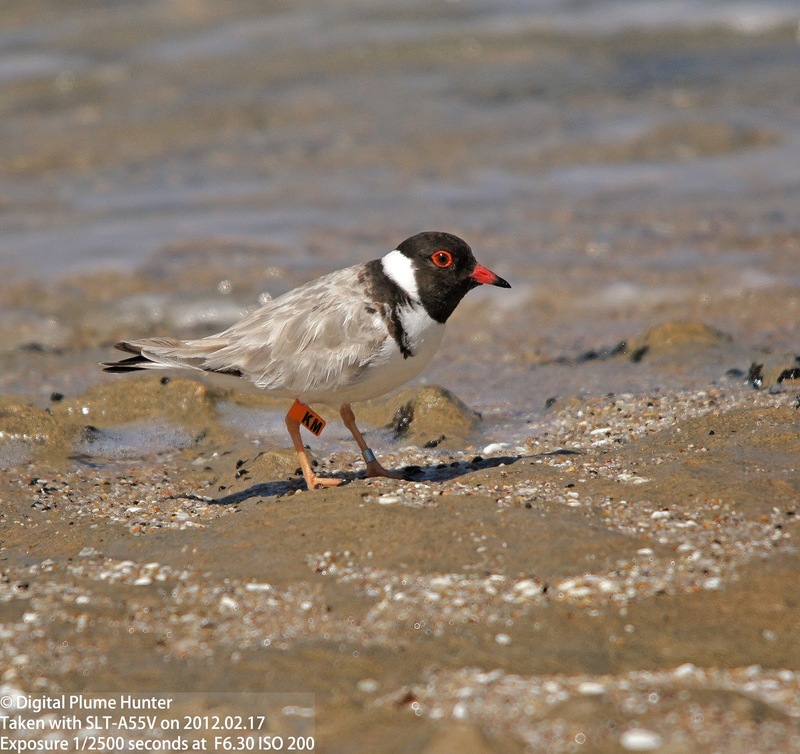 The Hooded Plover is found half a world away -- here observed in the Southern hemisphere at Anglesea in Australia. 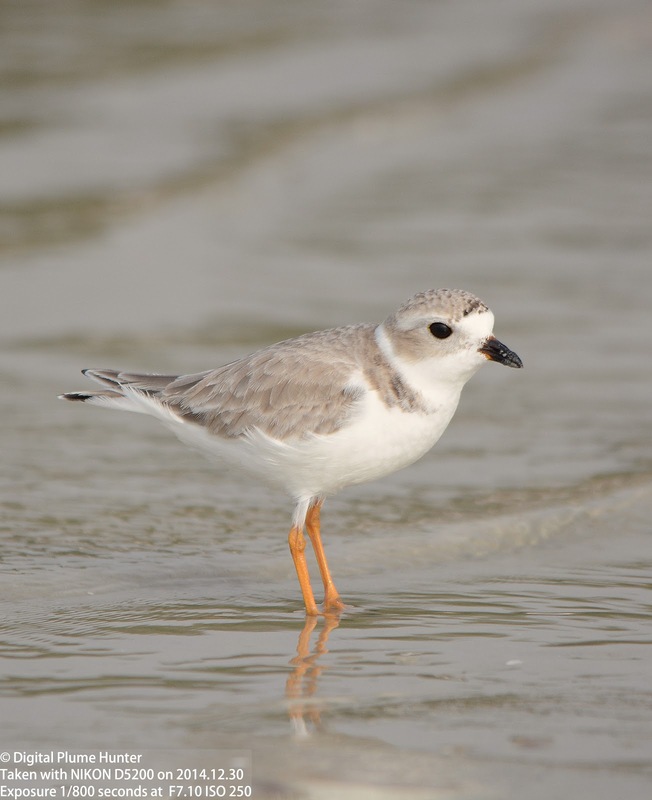 Looking like a cross between Piping Plover and Hooded Warbler, this fantastic shorebird, although belonging to a different genus, does share the same environmental threats as the Piping Plover: both number less than 10,000 individuals and suffer from persistent beach disturbance during their nesting season by reckless primates and their marauding pets. 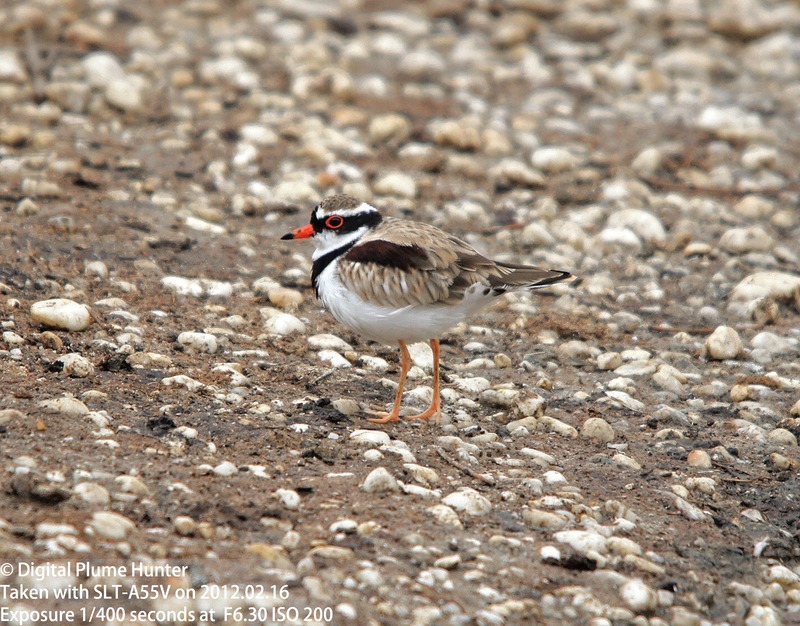 The Hooded Plover is closely related to the Shore Dotterel of New Zealand -- a species which regrettably is even worse off -- down to about only 200 individuals and is justly classified as Endangered. 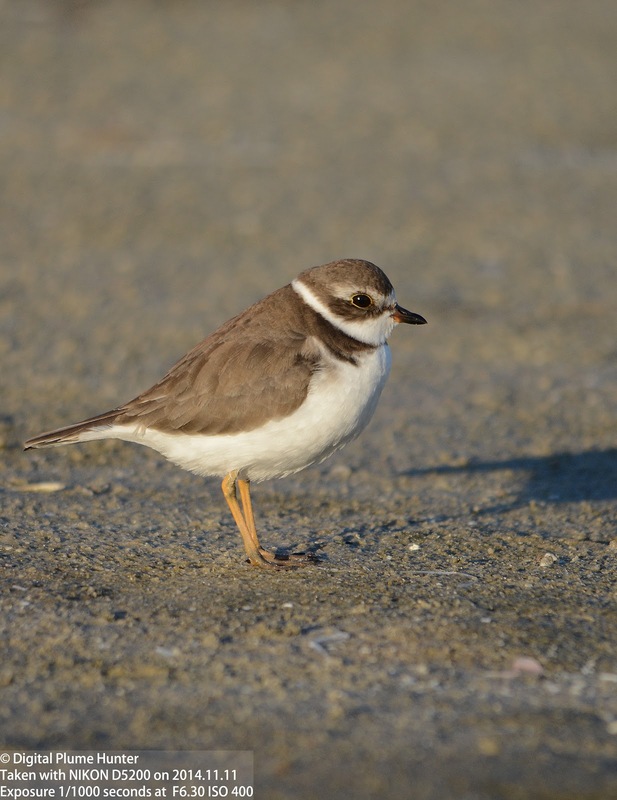 The Semipalmated Plover, on the other hand, is an abundant shorebird. 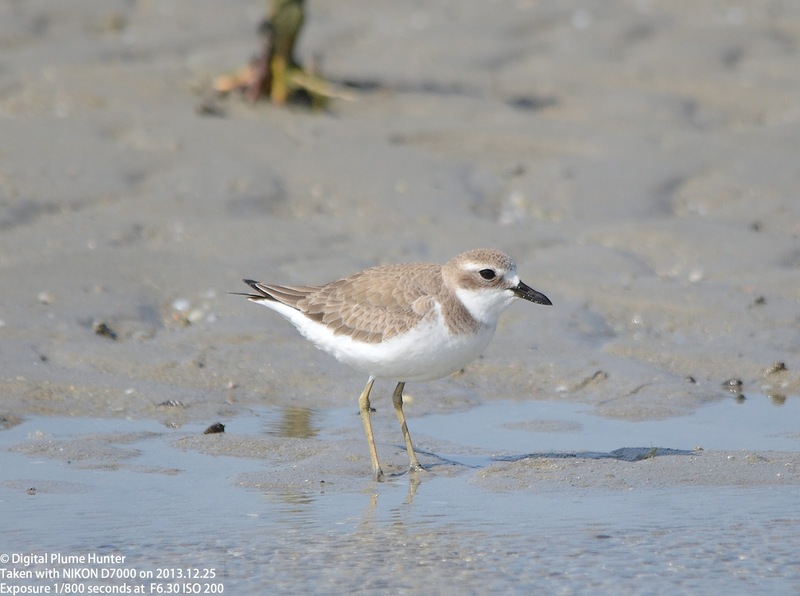 And, like other plovers, shows a marked contrast between its basic and alternate plumage coloration. 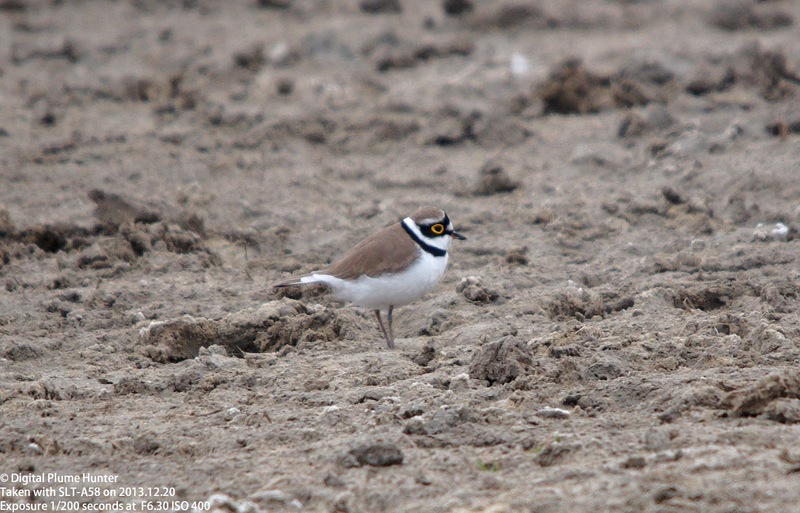 There are exceptions to this rule, however, and the Black-fronted Dottrel is a a plover that has the same plumage year-round. 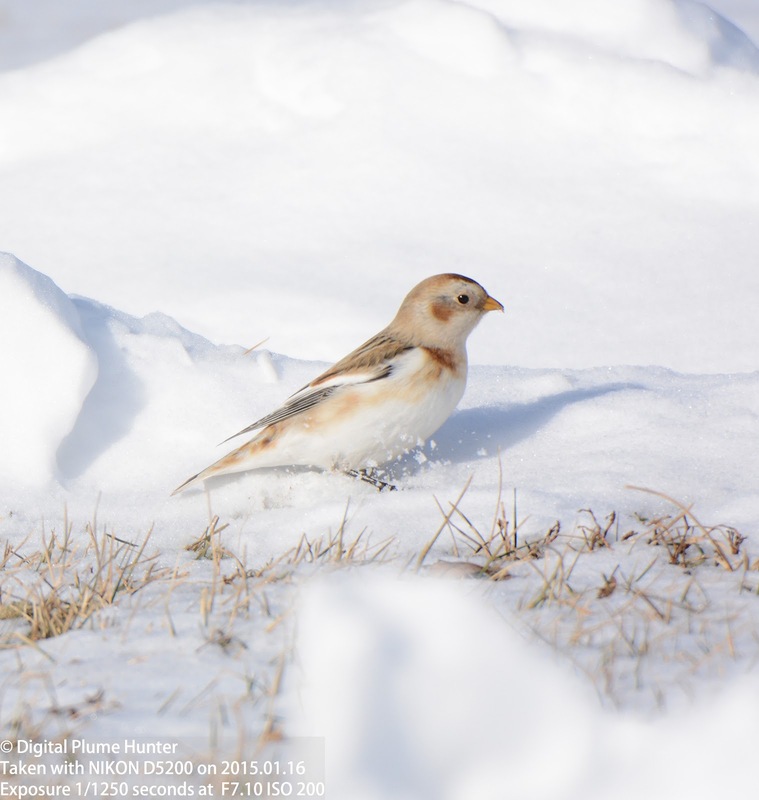 A condition which is sure to delight birders who get to enjoy its striking black breast band, mask and prominent orange eye-ring in every season. 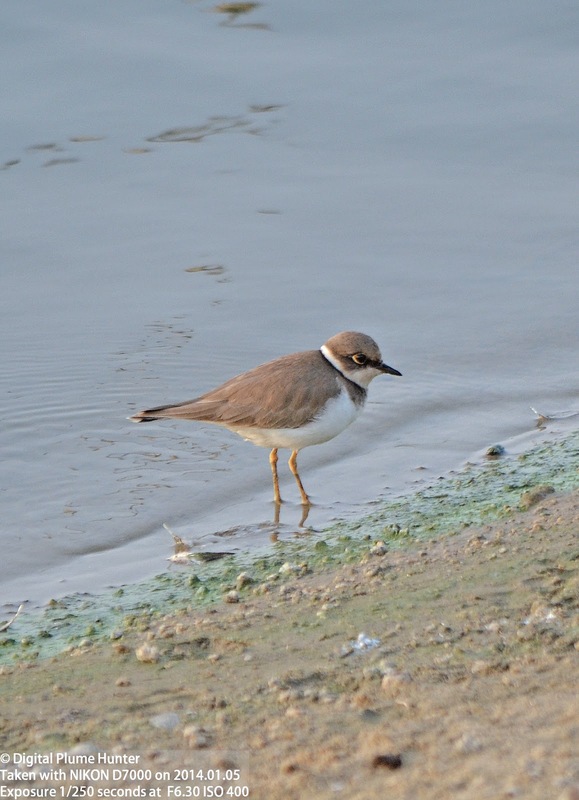 Sharing the genus Charadrius with Semipalamted Plover are the Common Ringed Plover and Little Ringed Plover of Eurasia -- while the latter is only Accidental in North America, the Common Ringed Plover's breeding range does include the extreme Northeast of Canada. 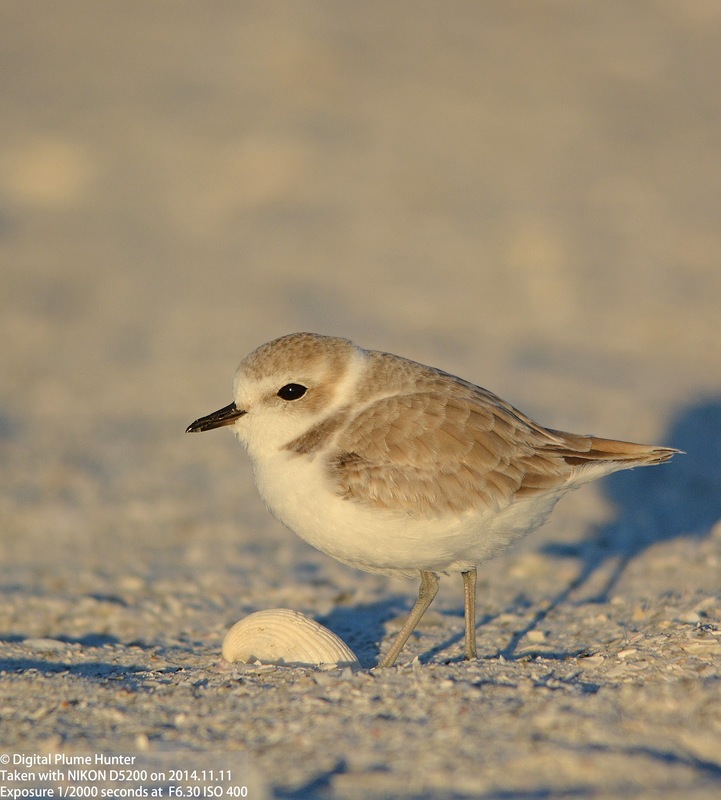 Both Wilson's Plover and Greater Sand Plover are distinguished by their larger size and more robust bills. 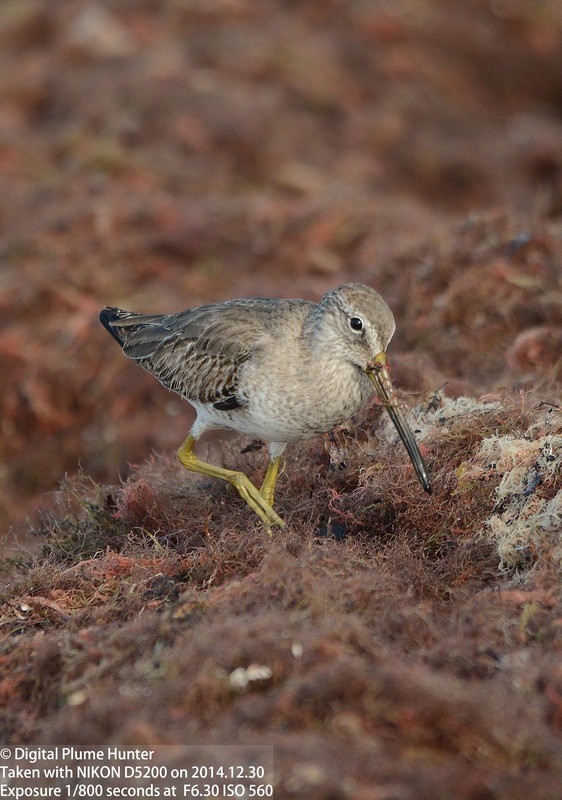 Lesser Sand Plover, on the other hand, has a smaller bill and has dark legs compared to the Greater's dull yellow legs. 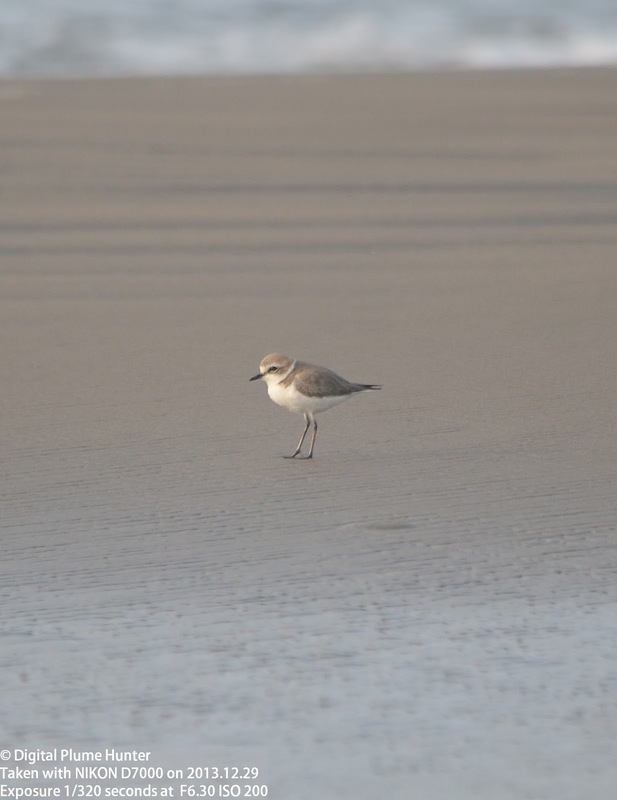 These tiny sand-colored plovers are superbly camouflaged at the beach and although classified as "Least Concern" can face many threats during the breeding season. The rangers and volunteers at Little Estero Critical Wildlife Area do a good job of posting signs to raise awareness about the need for the Snowy Plover's protection in the summer and dogs are explicitly barred from entering the area. 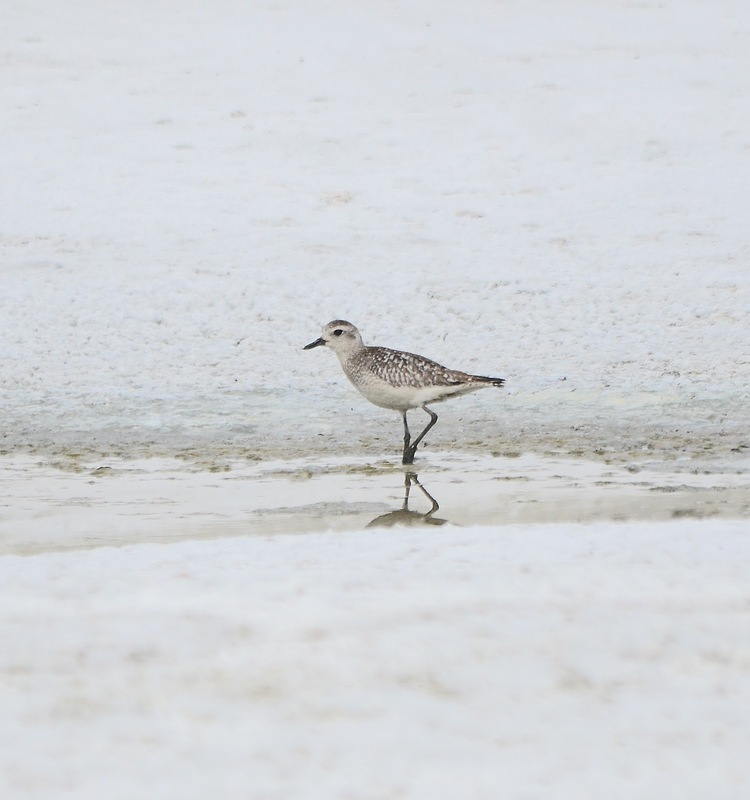 This huge plover is known as the Grey Plover in the Old World (see above) -- both monikers accurately describing the shorebird in either alternate or basic plumage respectively. 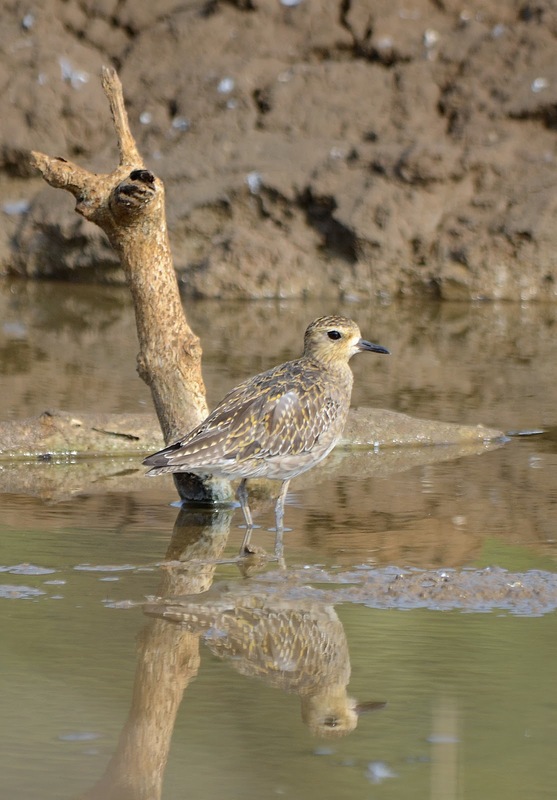 The Black-bellied Plover sits in the genus Pluvialis with the Golden Plovers -- American Golden Plover, European Golden Plover and Pacific Golden Plover (seen above). 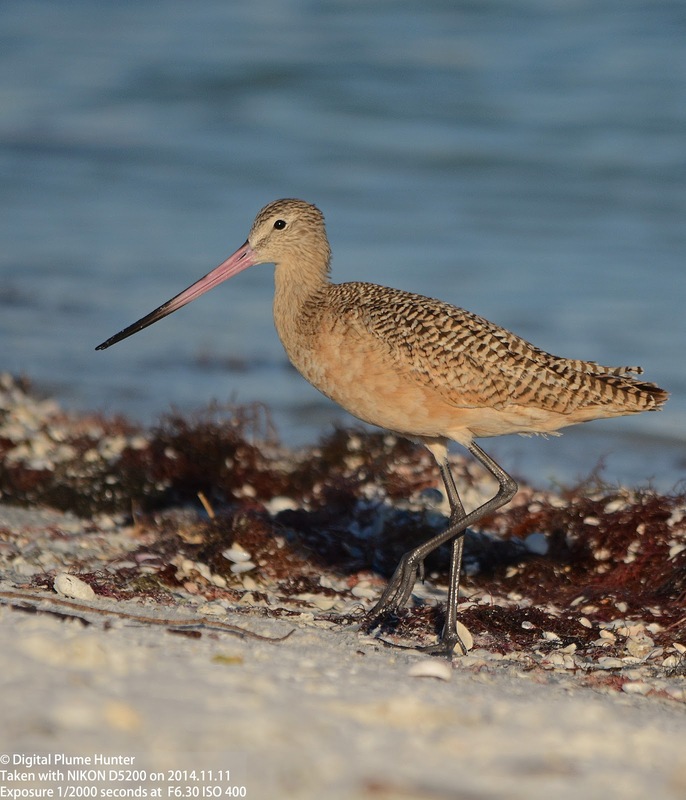 Southwest Florida hosts the Black-bellied Plover regularly over winter but sighting an American Golden Plover is rare. 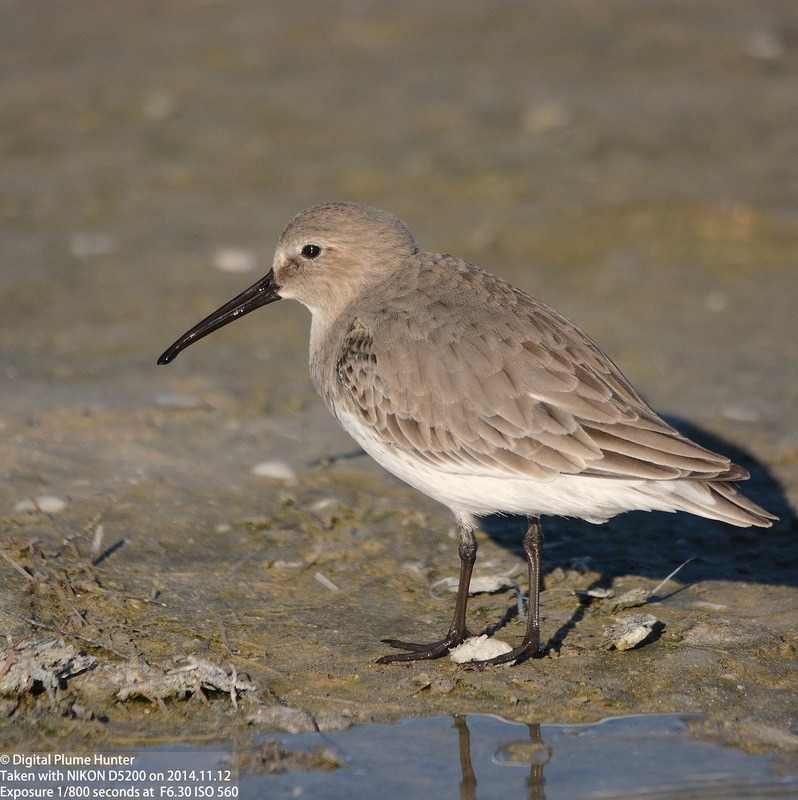 Shorebirds are fascinating birds and the Plover subfamily offers some of the most distinctive species in this group. 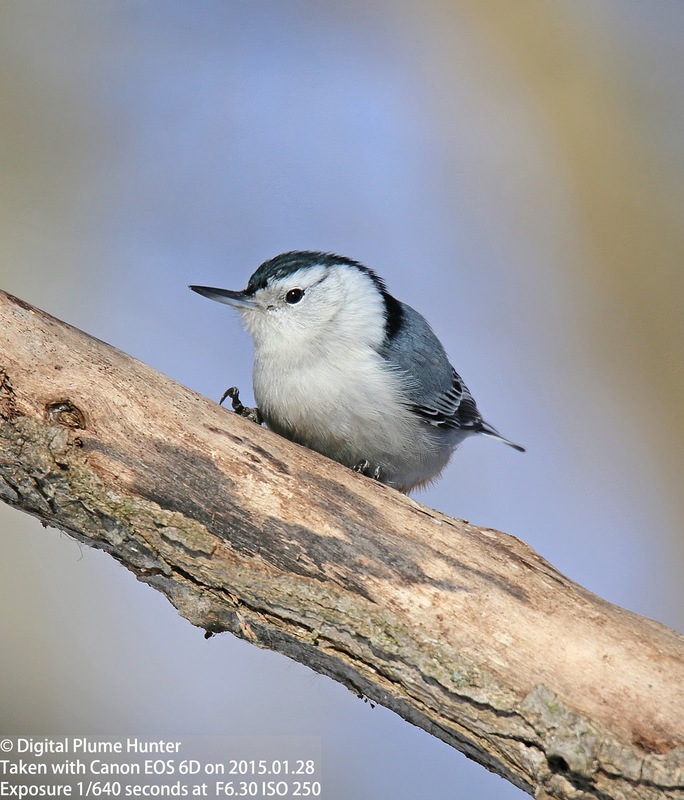 While many species are at ecological risk, thoughtful use of shared bird-human areas (esp. 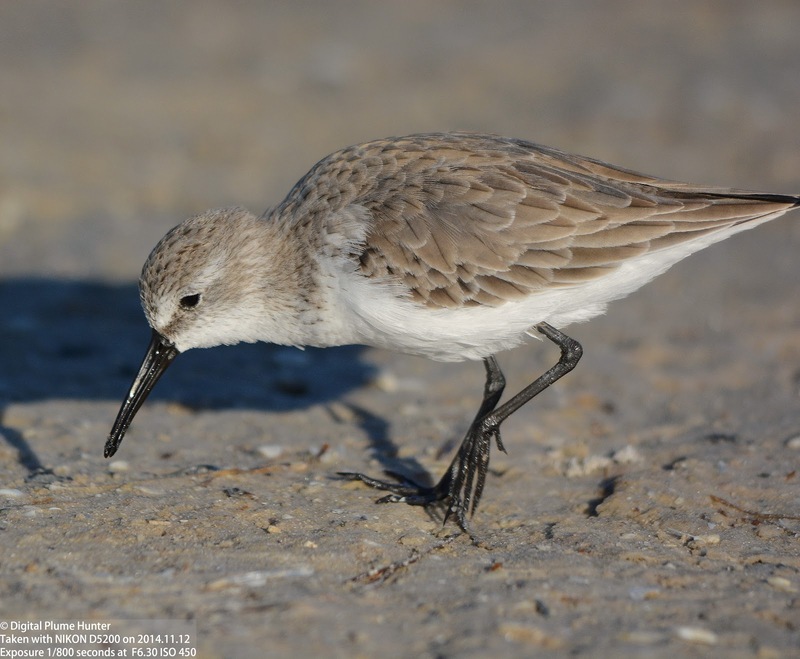 beachfronts) can offer protection to nesting species so that future generations can continue to enjoy species such as the Hooded Dotterel. 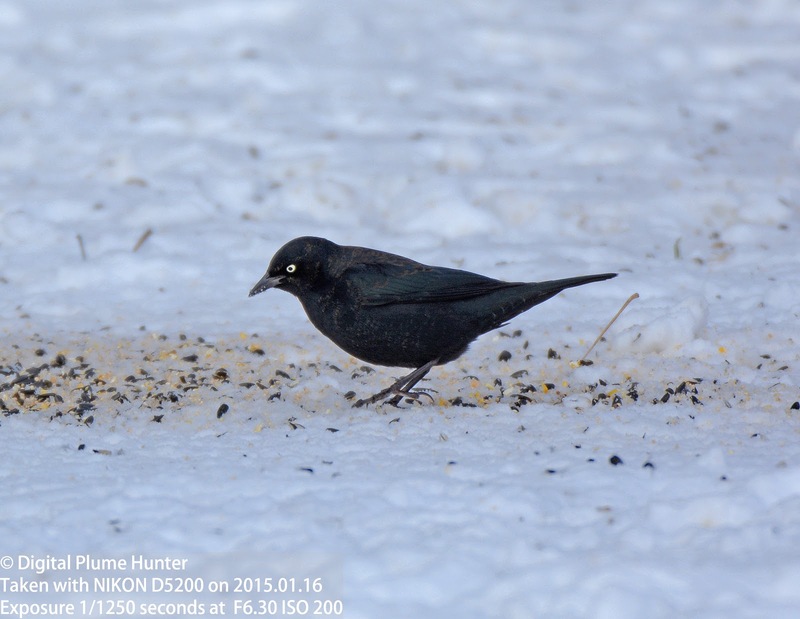 What better way to begin the year than getting a couple of Lifers? 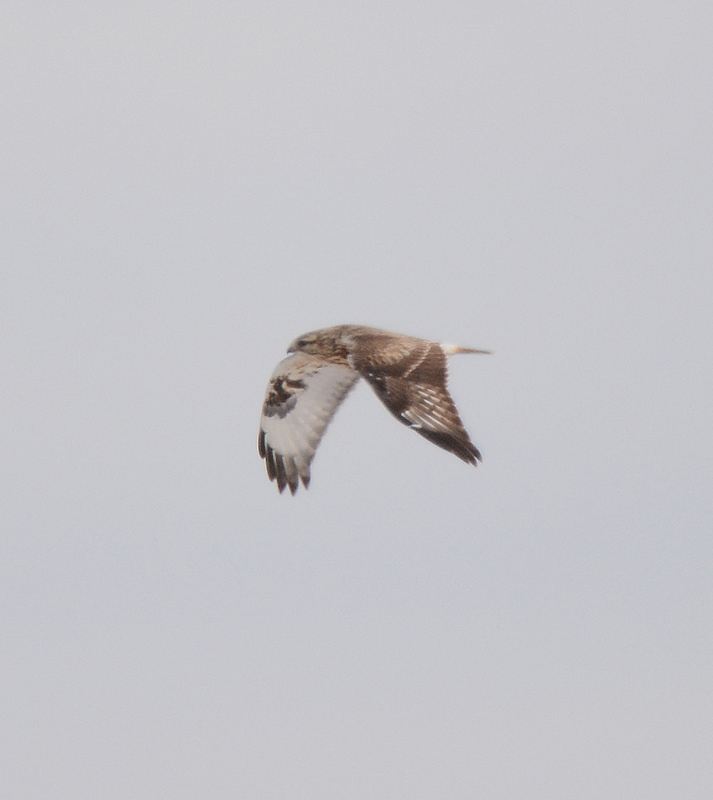 Better still when one of the species is the highly desirable and rarely seen Snowy Owl. 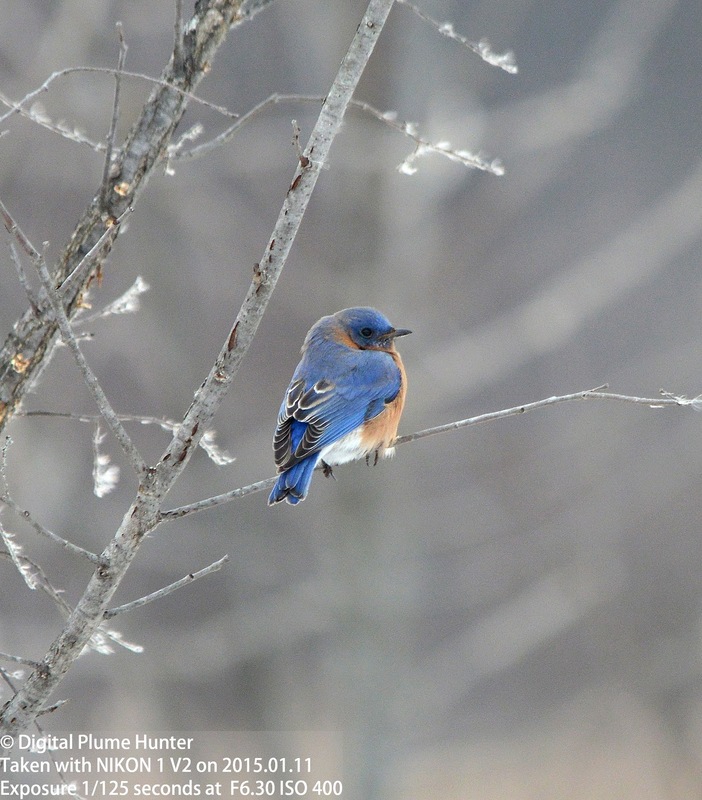 Tempted by the prospect of seeing this iconic winter visitor, this blogger joined an Oakland Audubon Society (OAS) trip to Pointe Mouillee SGA in Southeast Michigan with full knowledge that this would mean braving the inhuman, frigid, temperatures that characterize the stark and unforgiving Michigan winter. 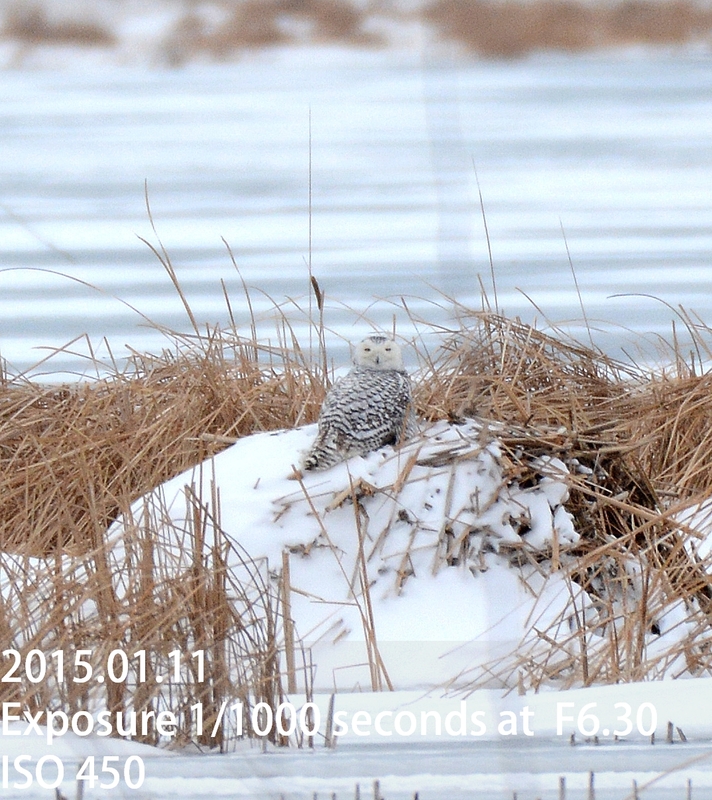 Snowy Owl is a global raptor found in the arctic fringes of North America, Europe and Asia. 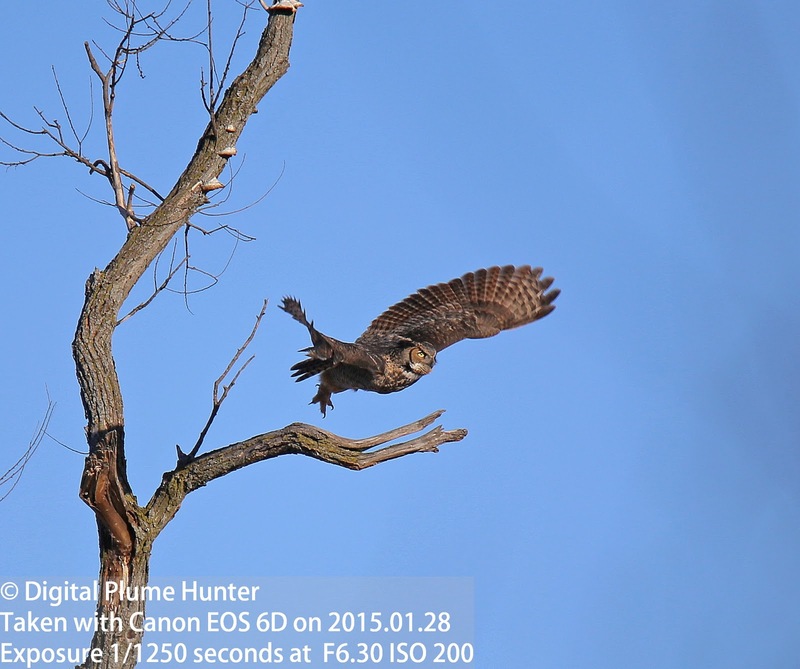 As our only white true owl (Barn Owls aren't "true" owls), identification of this species cannot be said to pose a challenge to even the most recklessly casual of observers. 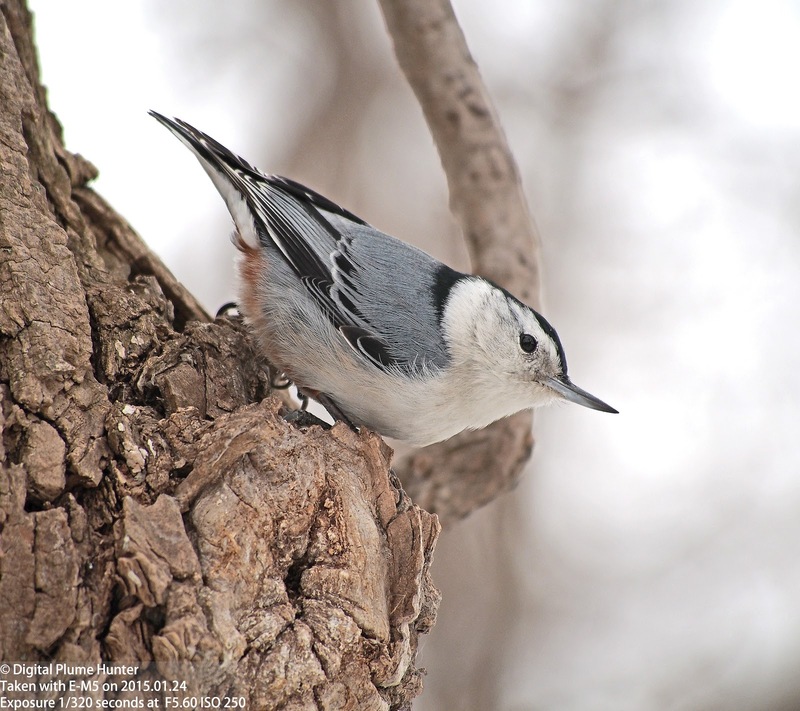 Juveniles will show darker barring while adult males are purer white. 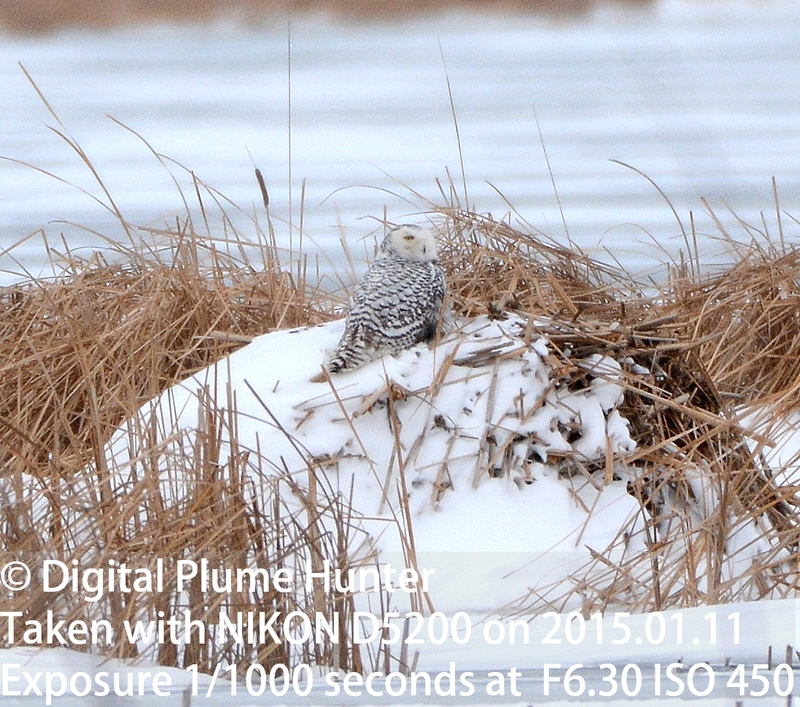 A fellow participant on the Field Trip confided that a week earlier he had seen 5 Snowy Owls at close quarters at Pt. Mouillee. 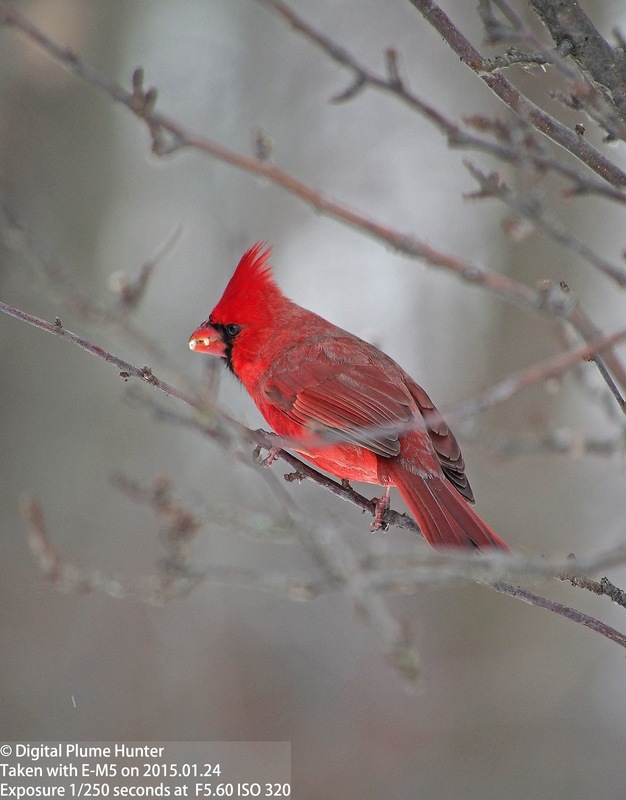 Evidently, the Owls had now dispersed and were much more skittish. 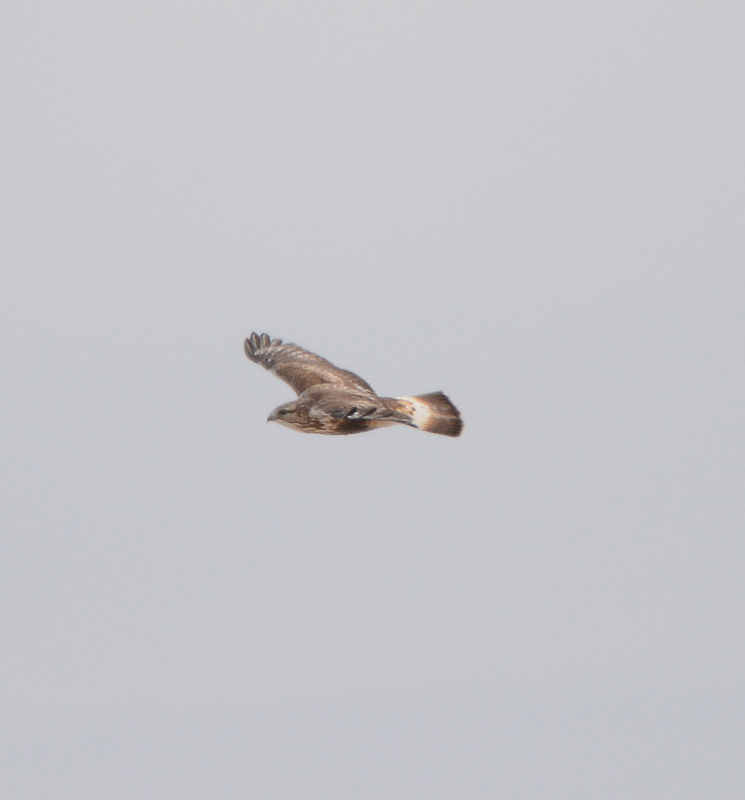 During this excursion, it was a minor miracle that the Trip Leader sighted the owl at all -- not an easy feat to discern a whitish shape against an unbroken sea of white at a mile away! 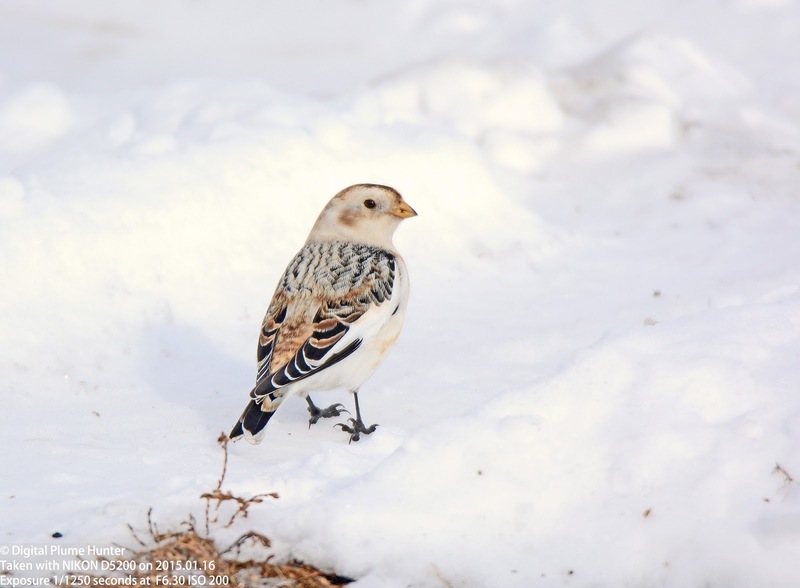 The Snow Bunting is one of 6 species belonging to the Longspur family. 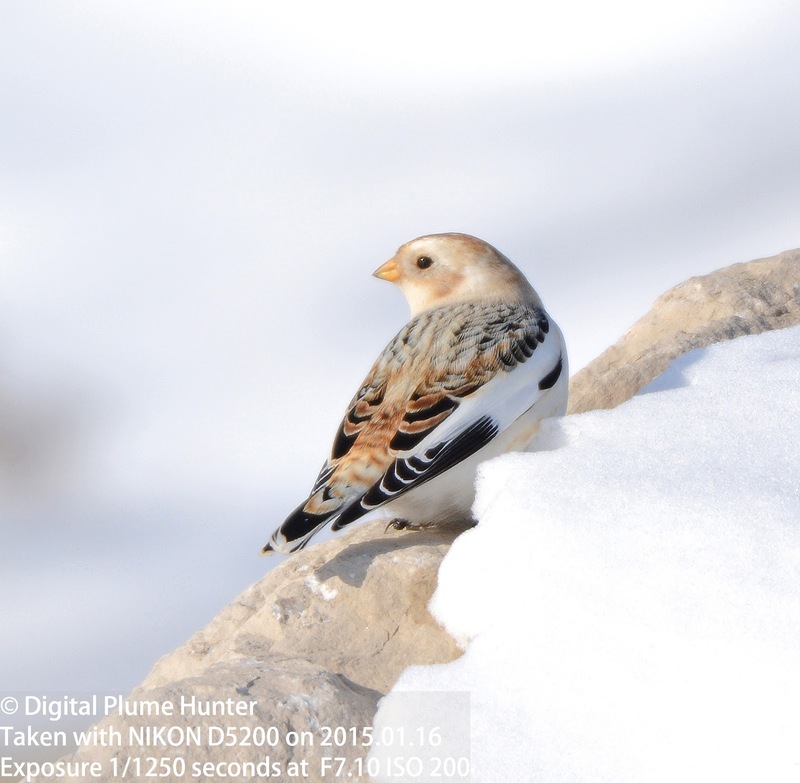 It was earlier classified with the New World sparrows. 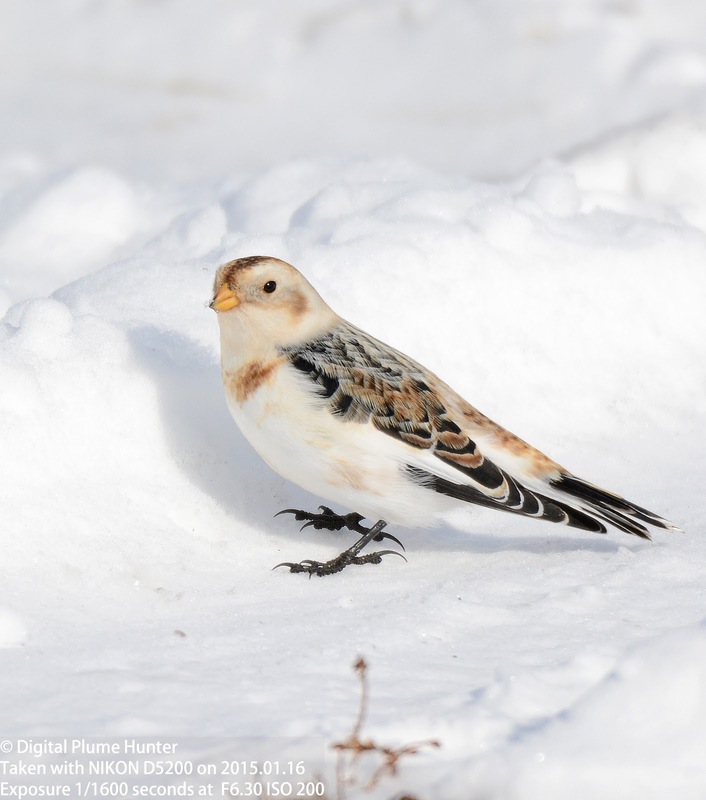 Snow Buntings are another species with a global distribution and their populations are healthy. 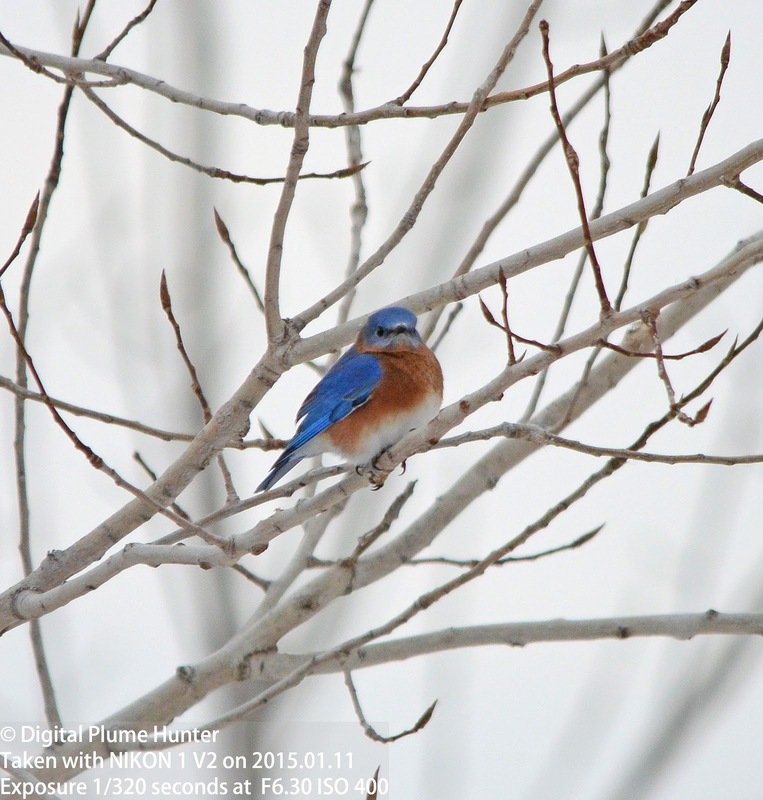 This beautiful thrush can brighten up any wintry day with its orange breast, white belly and electric blue back and head. 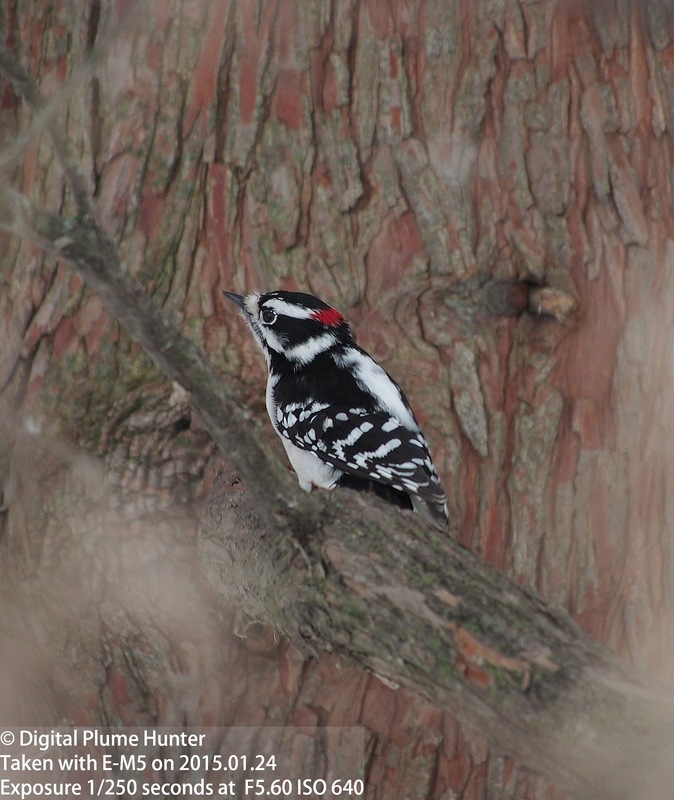 While every moment in the Field holds the prospect of reward, the sighting of a Lifer not only fulfills every birder's quest for the new but also deepens the thrill of discovery.